I'm always on the lookout for simple dresses that are great for nights out or parties. This dress is perfect. The silhouette is simple but the embellished shoulder detail gives the dress a bit of interest. 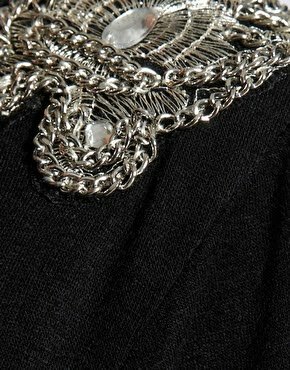 Sometimes embellishment details can be a bit overbearing but this one is done just right. i think the dress look so elegance. I love it! The shoulder embellishments are great. I think is great! never bought in ASOS before... but I think I shold! LOVE the dress....I could so wear this one....and...I love the detail on it...very pretty! for the price its REALLY REALLY awesome ! loving the shoulder details ! Simple, subtle and glam! Love it! I'm really into embellishments at the shoulder lately... Maybe it's the military trend? Love this dress- and what a great price! This is the perfect shoulder detail dress. I like this dress. It is simple but also very chique. Details on the shoulders are beautiful! Amazing dress. Love the detailing on the shoulders! Love the embellishments on the shoulders - this dress is really chic! Great find! I love it. I really like long-sleeved mini dresses, and the shoulder detail is so perfect. I fell in love, and I lost. Beautiful dress. The perfect evening wear. i really like this dress and it's for a reasonable price! So simple and chic! I love it! the shoulders are really cool! 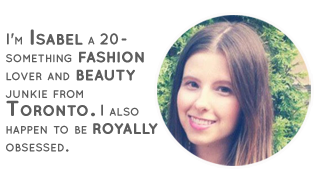 Girl of the Blogosphere: Silvia S.